Tailor your tour to fit your interests in Wynwood. Entertain your group with tours of galleries and street art, and even include lunch, dinner, and drinks. Make your own art with graffiti lessons, too! Enjoy the Art District of Wynwood on a private tour. Customize your tour to fit the occasion. Entertain your group, whether it is a corporate team, art buyers, corporate client events, or a birthday outing, with the incredible atmosphere of Wynwood. Treat yourself to your choice of galleries and street art. Include lunch, dinner, and drinks into your tour to get a taste of the culinary art in Wynwood. If you're feeling adventurous, ask for a graffiti lesson and make your mark. You can expand your experience by discussing different opportunities with your guide. 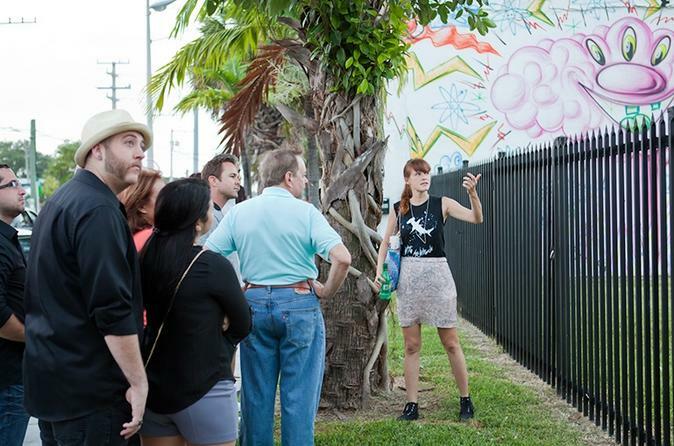 Explore the heart of the Art District in Wynwood on a private tour.